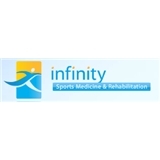 Infinity Sports Medicine & Rehabilitation (New York) - Book Appointment Online! Dr. Marina is very knowledgeable, took her time to listen to my concerns and history, also answered all my questions and educated me more about my situation, when I asked about more resources to read about it, she even referred me to online topics that satisfied my thirst to knowledge. With only few tests she was able to diagnose my issue and I am in the way for fixing it, so Happy I found a good Dr.